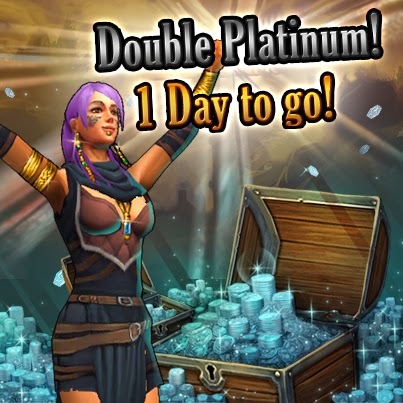 This guide explains what the double platinum event is, and keeps record of the dates of previous double plat events so that we can guess when future ones will be. 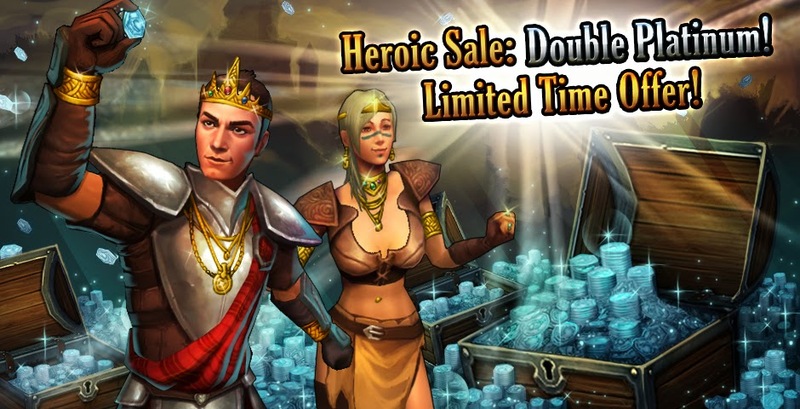 Double platinum events happen twice a year: once during the Beltane Summer event, and once during Black Friday (day after Thanksgiving), and usually lasts for the weekend. 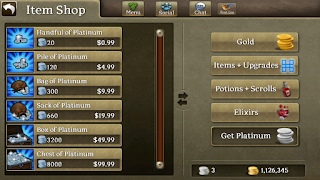 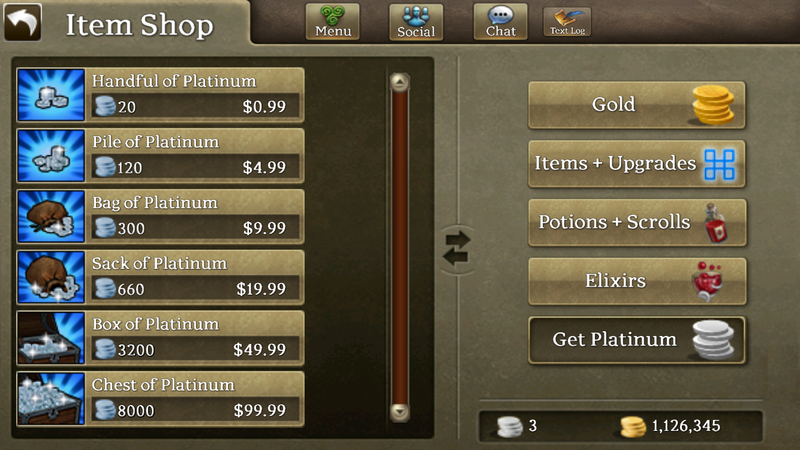 That means you will receive double the amount of Platinum with every purchase you make. 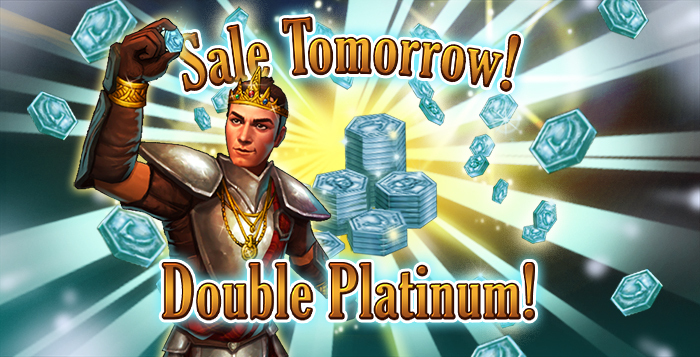 While we do know the date of the Black Friday plat sale, figuring out the date of the birthday sale is a little trickier, because OTM celebrates it on different dates each year even though the actual birthday of Celtic Heroes is June 14, 2011. 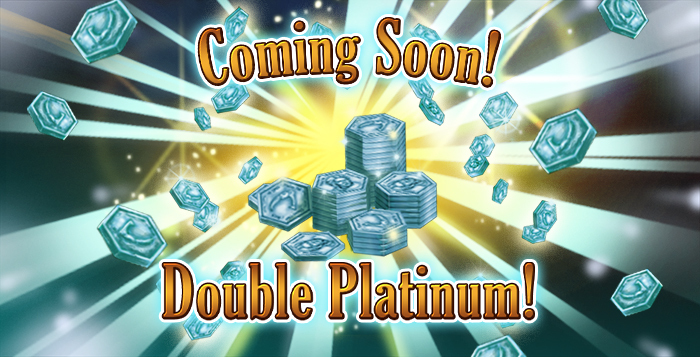 We can, however, look at past double plat events to see when it might happen. How many days in advance will it be announced? 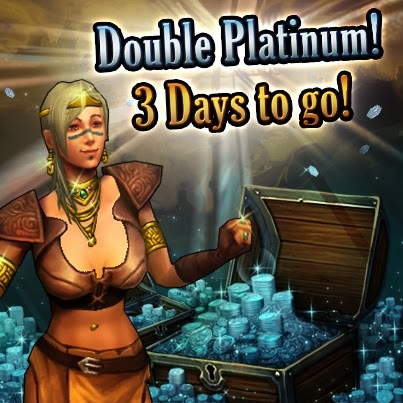 OTM has a policy of only announcing the double platinum sale 3 days before it is going to happen.